Colnect, Connecting Collectors: 1,111 Colnectors became our contributors! 1,111 Colnectors became our contributors! What does this number actually mean? 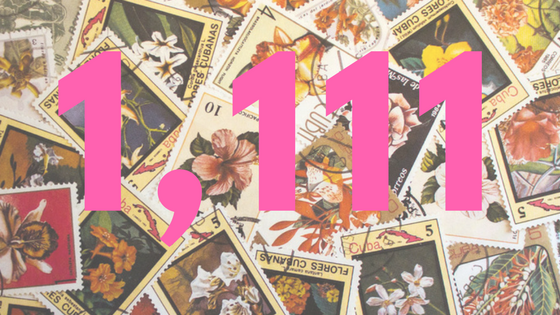 It means that 1,111 passionate collectors from all over the world spend their free time helping Colnect happen. They are so open-hearted to share their knowledge, time and expertise to bring more value to Colnect catalog so collectors from different countries could use it and enjoy their hobby of collecting. Day by day Colnect is getting bigger and better and every single catalog is increasing in quality and quantity. Colnect is able to deliver information about collectibles around the world in the best way thanks to the group of hardworking collectors who are putting their effort into helping out fellow collectors to get what they desire. In just two years the number of contributors jumped up from 777 to 1,111. We are happy that so many people are ready to dedicate their time to make the experience of collecting more enjoyable for those who share same passions and interests. It’s admirable what every single one of these collectors has done. We would like to thank everyone for being a part of this amazing community which keeps on getting better. You guys are truly amazing and we appreciate everything you do. Every catalog on Colnect is what it is because of your contribution. Colnect has been built by collectors just like you. If you wish to contribute to our growing community of collectors and start making catalog better for other fellow collectors then you can add new items, add images and information to already existing items, help to translate catalog to your language, edit the catalog, write wiki articles, and even create your own categories.